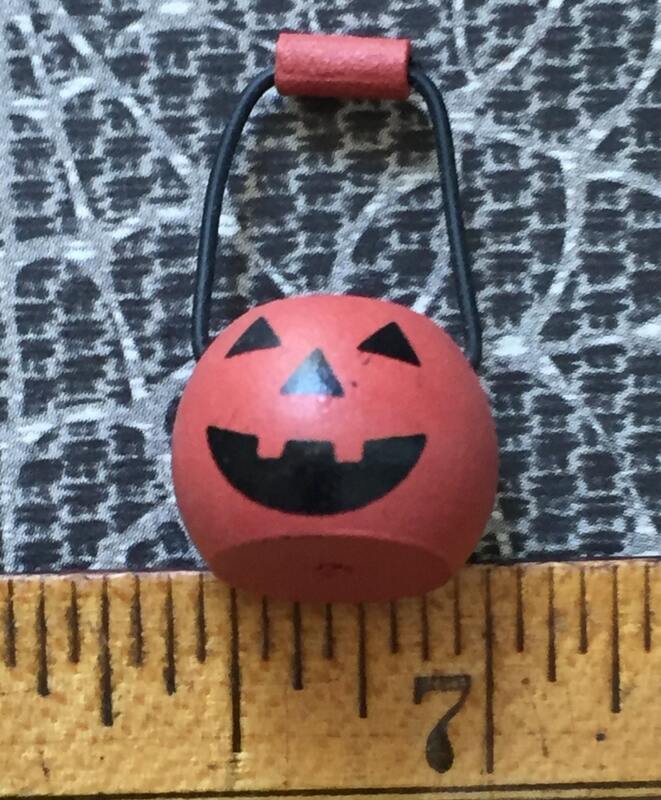 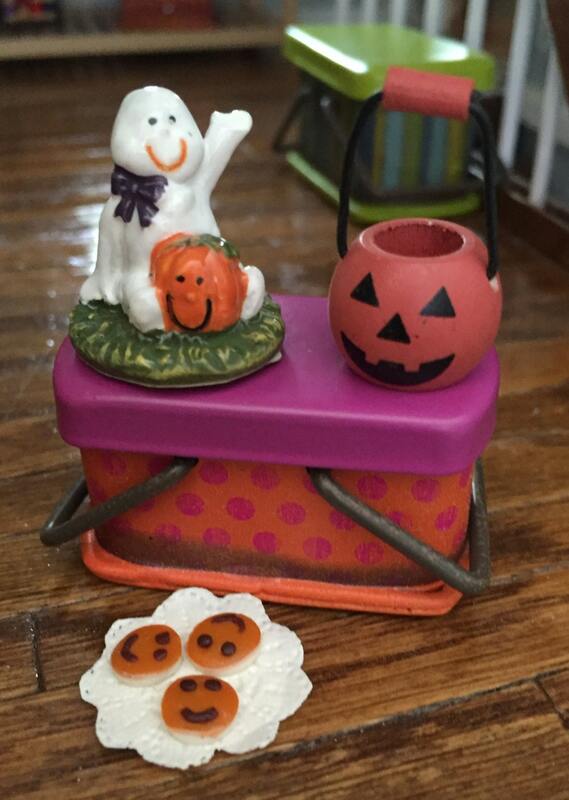 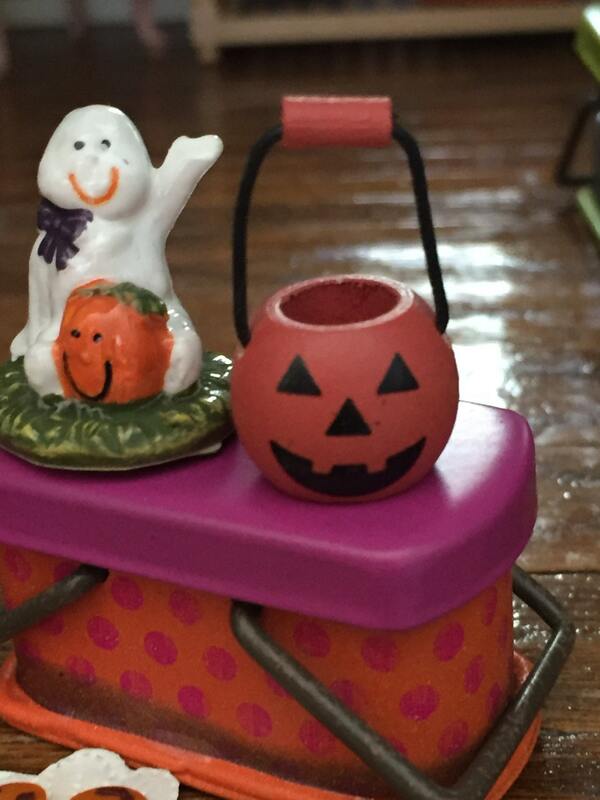 Adorable, miniature, painted wood pumpkin basket with metal and wood handle. 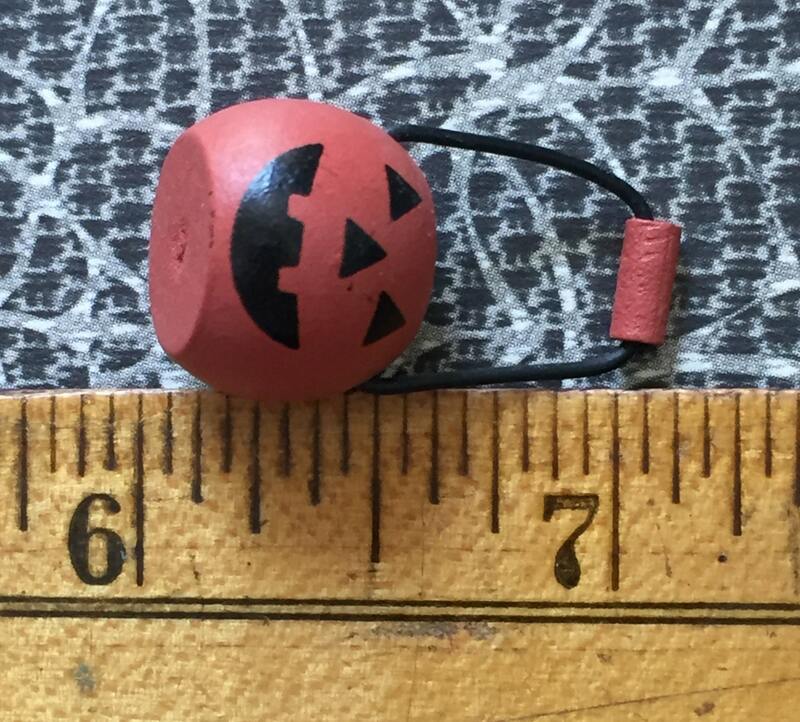 Perfect for your dollhouse or fairy garden. 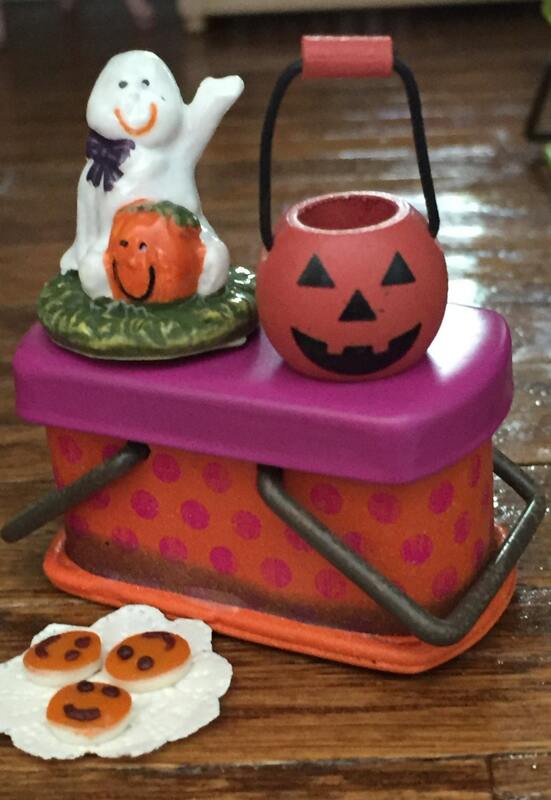 Fun Halloween decor, cake toppers, miniature garden accessories.